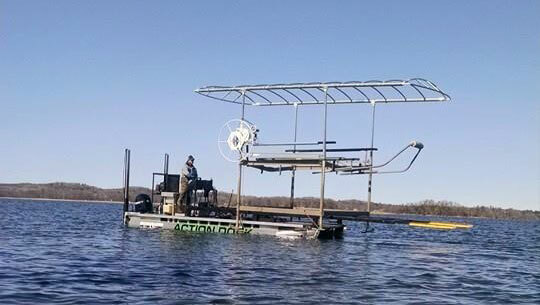 Action Dock & Boat Lift Services is a premiere dock service in the Lincoln Lakes area, with our one of a kind barge we offer everything from installation and removal to any kind of dock and lift maintenance including welding, there really is no job too big. We offer quality aluminum docks, lifts and every accessory you can think of, as well as Lift Tech products such as boat lift motors, drives and solar panels. Action Dock was started in 1990 as a dock & lift installation and removal business. Through the years it has progressed into a full lake home service to help make your trip to the lake more relaxing in the spring, summer and fall.